There are a few mash-ups that I never would have thought of myself, but once I know that they exist, I can’t imagine the world without them. 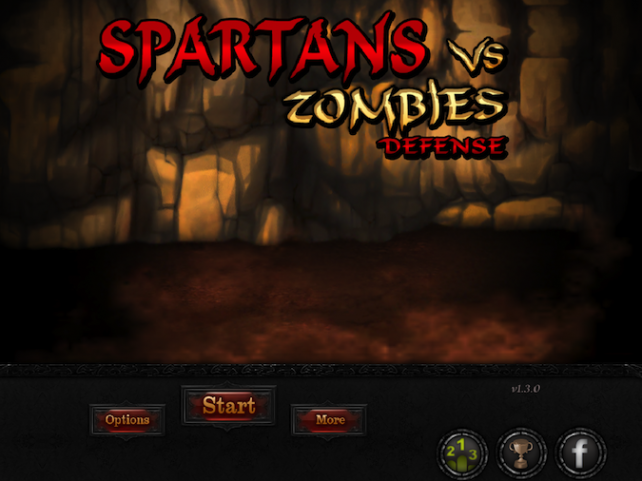 Spartans VS Zombies Defense is one of those glorious mash-ups. As a student of Attic Greek, could I ever have envisioned the great Leonidas bashing skeletons with his mighty spear until they crumbled into dust? No. That little detail never popped up in Herodotus’s account. It certainly would have made that class more interesting. Now that I have the image in my mind, I can’t think of Leonidas being anything but a zombie-slaying superhero. Now, I say the word “zombie,” but in this, I must protest. I associate zombies as being shambling or frighteningly mobile corpses that have most of their flesh still attached to their bones. I suppose that the zombies could be so decomposed that the bones are all that’s left. However, that’s stretching it. 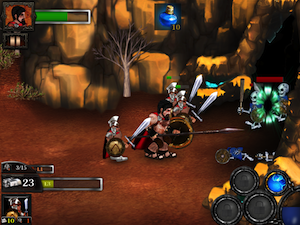 I’m afraid that in my professional opinion, Leonidas is fighting an undead army. There’s a difference, my friends, and that difference matters. 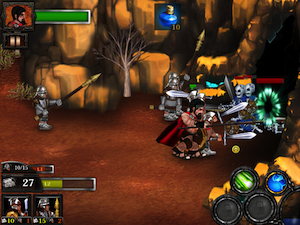 Spartans VS Zombies Defense is a castle defense game. 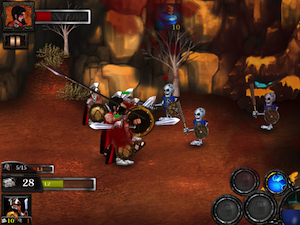 You have your castle on your side, and you go over to the zombie side to attack theirs and the undead minions. There is even a definitive line where the middle ground is, and the scenery changes depending on which side you’re on. You have a beautiful stone tower with a handsome bridge that you cross over. The zombie side is a desert with a vortex to the underworld for their castle. Your side definitely employs a better landscaping firm. Now, there are two ways to beat this game. If you last for an unspecified amount of time, you win by default. I hate winning by default. There’s no glory in it. I prefer to win the second way. I want to smash their gateway to the underworld to bitty pieces and leave the undead wailing in agony as I smash them and their brethren to bits. 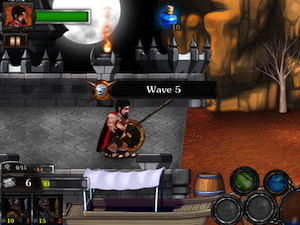 At the end of each level, you receive gold. If you smashed the zombie vortex, you earn twice as much gold. 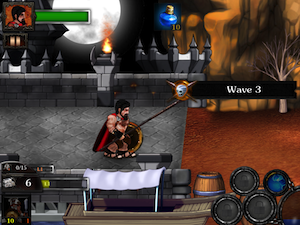 You can use this gold to level up Leonidas, his special abilities, or his armies. This game is legendary. It’s free for a limited time, and I would highly recommend that you scurry over to the App Store and download it now while money isn’t an issue. I could go on about the graphics and amazing gameplay, but I’m too busy being thrilled over the genius idea to bring ancient Greek heroes up against the undead. 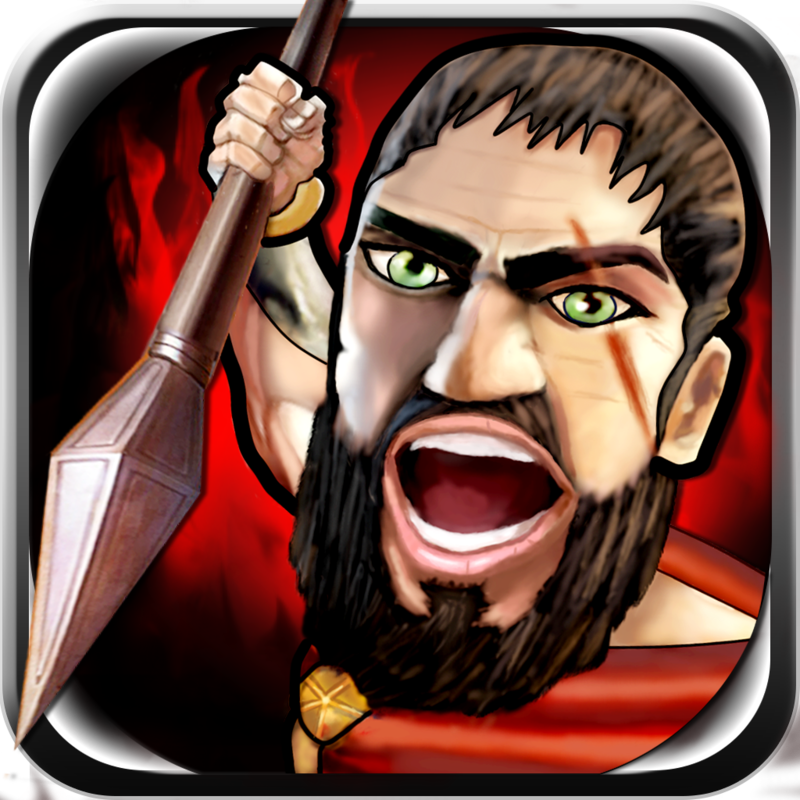 Also, the idea to incorporate the Spartan rallying call from the movie “300” into the game? Brilliant. 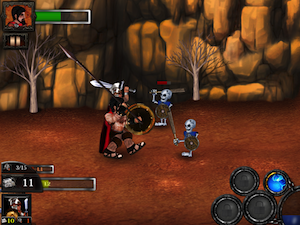 Spartans VS Zombies Defense is a universal app, and it’s available in the App Store for the awesome price of FREE!